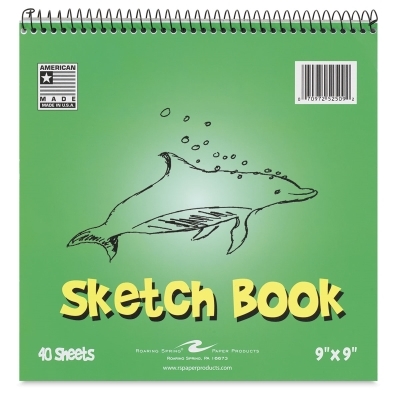 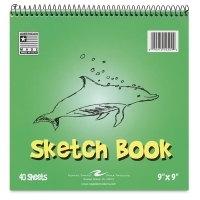 Perfect for sketching, drawing, or even scribbling, the 50 lb white drawing paper in the Roaring Spring Kid's Sketch Book works well with most media, including markers, crayons, pencils, and ink. The 40-sheet, 9" × 9" pad features snag-proof spiral binding and a durable 30 pt chipboard backing. 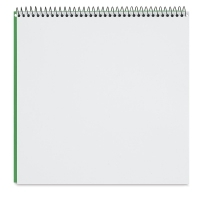 ® Roaring Spring is a registered trademark.